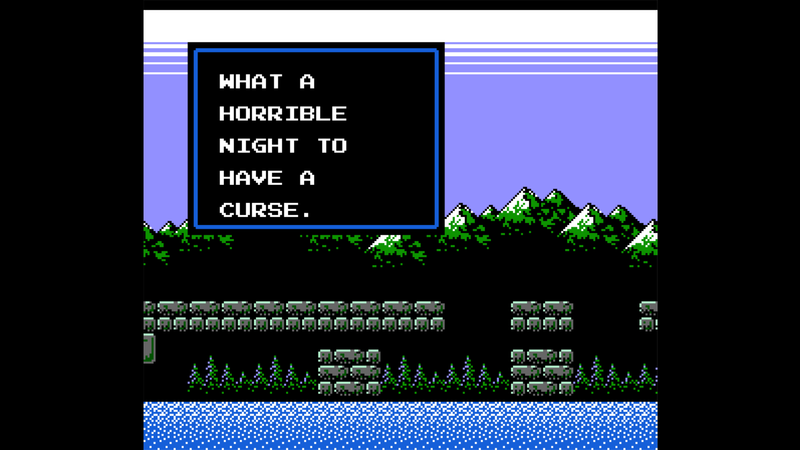 This post is the second in a series discussing offbeat video game sequels in the NES era. 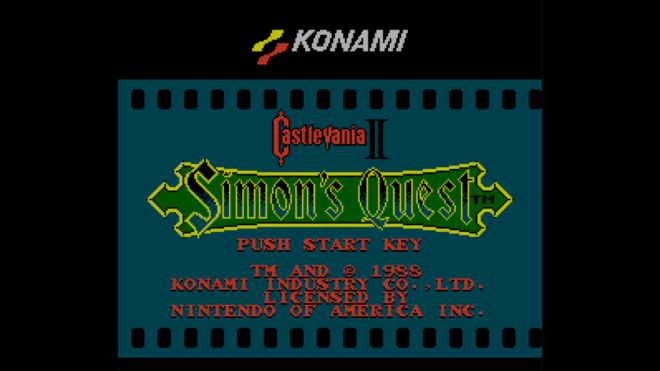 This time, we’ll be talking about Castlevania and it’s contentious sequel, Castlevania II: Simon’s Quest. 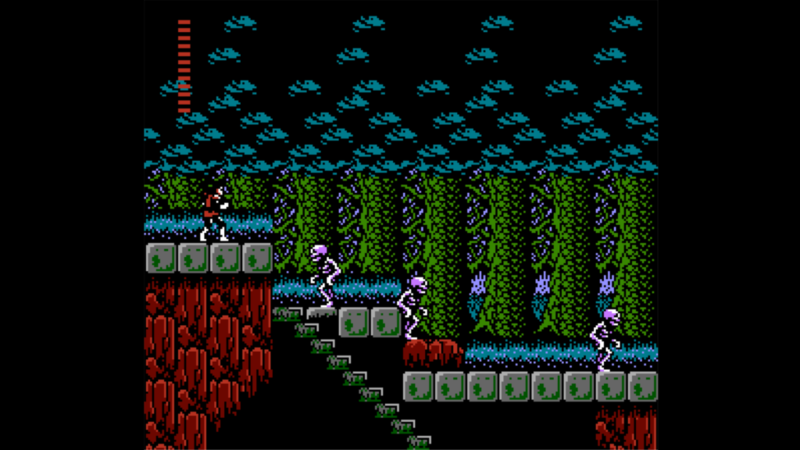 The original Castlevania is a challenging action-platformer which pays homage to horror films of the time, with monsters ranging from mummies to Frankenstein’s monster to the Grim Reaper and Dracula himself. It became renowned for its particular movement and combat—both of which require careful use to account for their slowness—along with the deliberate level design which puts both to the test. The game presents rewards for skilled play while rarely presenting situations the player has no control over. While its controls are different from many games of the time, they keep the player responsible for their movement—and in the event of a mistake, there’s a clear reason for it. 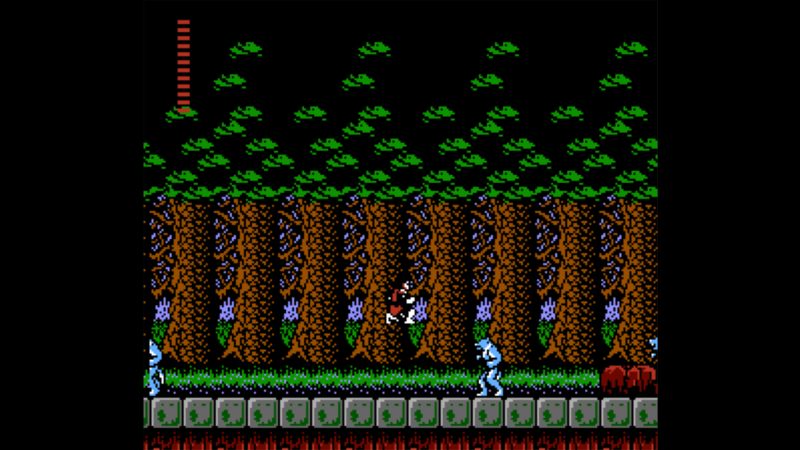 The graphics look a little different, but it remains Castlevania at heart. 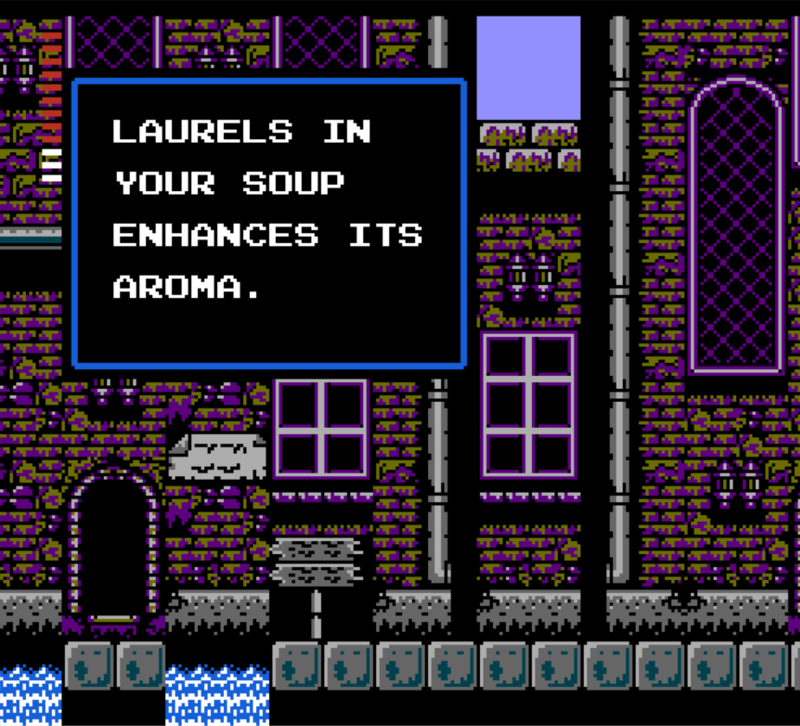 On the surface, Castlevania II doesn’t seem that different from its precursor. It retains the side-scrolling perspective, deliberate movement and combat, and demon-hunting premise of the prior game. 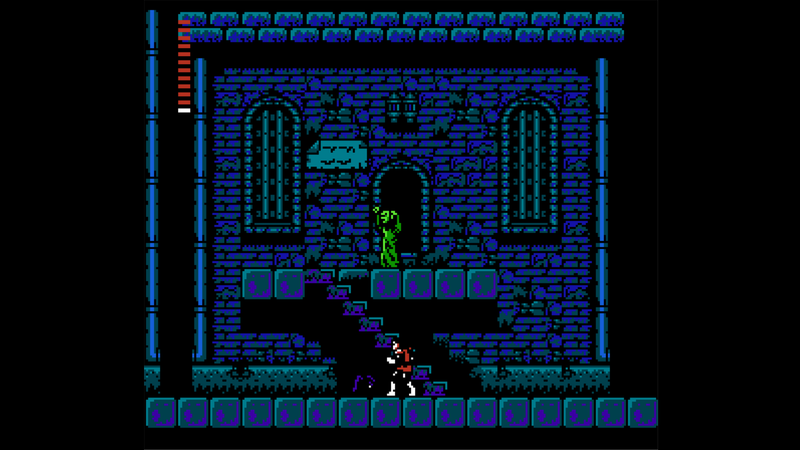 However, where Castlevania occurs entirely in the eponymous castle save its first room, Simon’s Quest takes place primarily in the villages and areas surrounding Dracula’s castle. Rather than self-contained levels, these areas are presented in a non-linear structure with a focus on exploration, akin to Nintendo’s Metroid series. This is perhaps the greatest point of divergence between the two games. 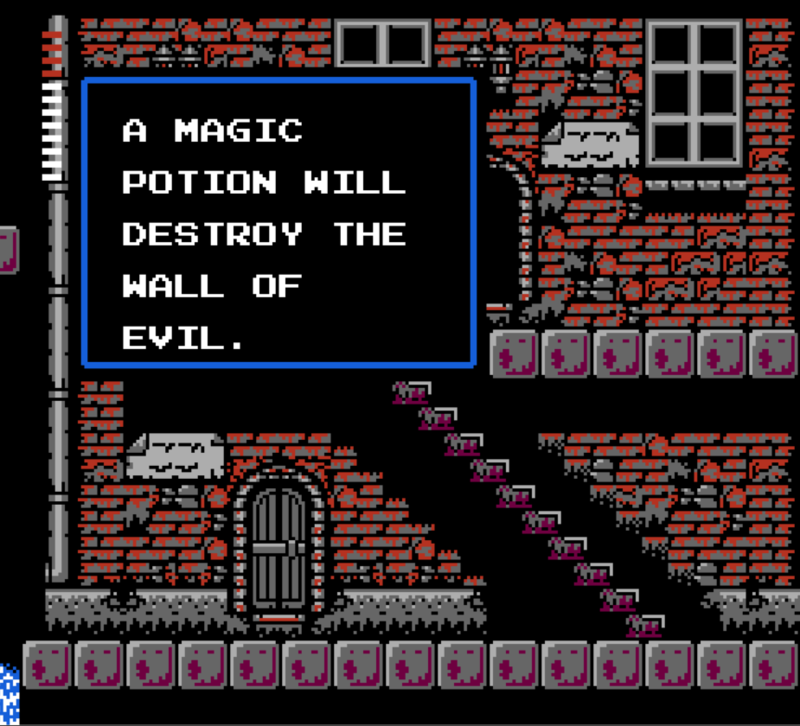 While every stage in the first has a linear progression from start to finish, the world of Castlevania II is open, with similar-looking terrain and deviously-hidden secrets. Two ways to go—and both are important for progress. 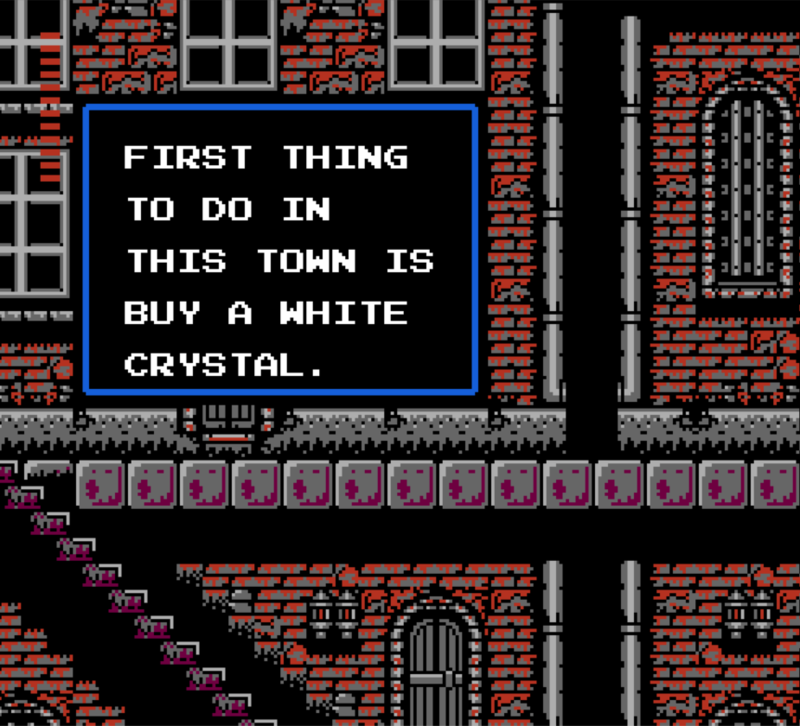 In theory, these secrets would be revealed by talking to townsfolk—trading for items, learning the lore of the land, and otherwise common interactions with NPCs. 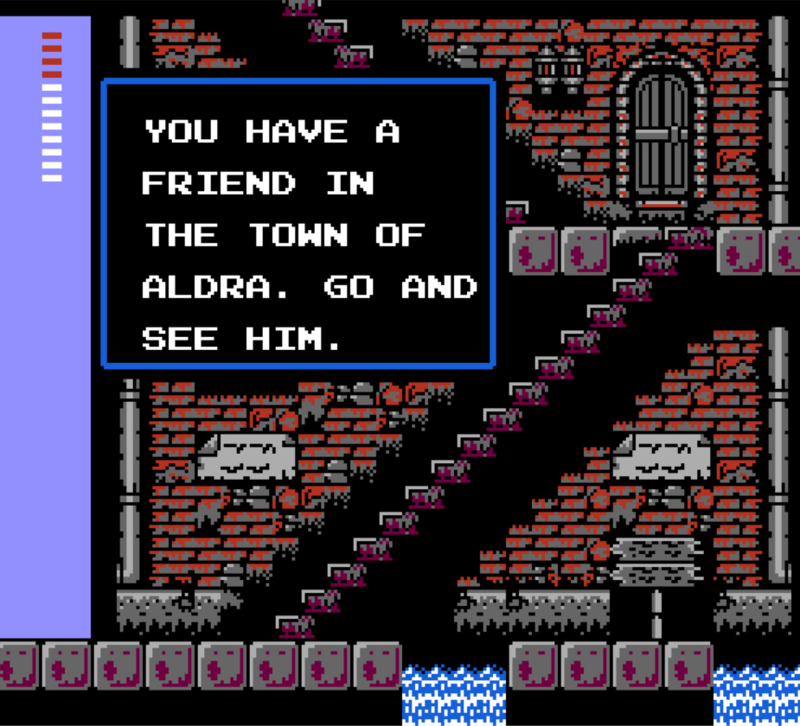 If you’ve read last month’s Zelda II post, though, you have a good idea what the execution looks like: cryptic, often inaccurate messages written to fit within the space of an image caption. This compounds with the game’s internal clock, which switches from day to night every few minutes. Nighttime makes monsters stronger, and townspeople retreat inside to avoid the zombies running rampant in their home towns—which has the capacity to halt progress if the player needs to buy something to continue their quest. The undead clearly make a good curfew incentive. As a final nail in the coffin, the majority of the NPCs in the original Japanese were liars, but the accurate hints present in the original game were lost in translation—leaving many plot-significant puzzles without hints towards their solution. This is a clearer message than most in this game. 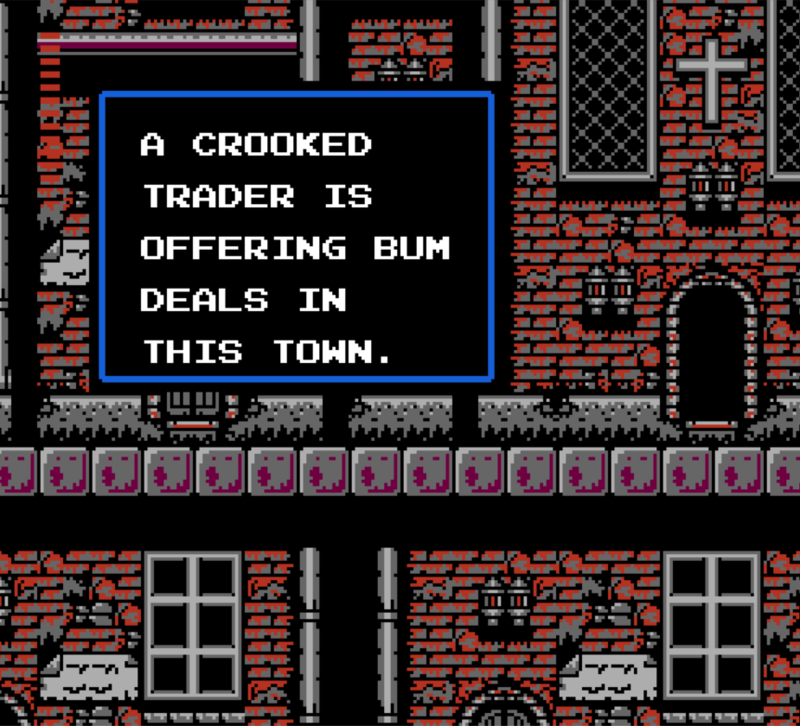 Despite this statement, this town contains three merchants, all of whom give the best (only) prices for their significant, useful wares. Presumably, this refers to the Holy Water's ability to break certain obstacles—but are all those obstacles evil? "Oh man, I'd forgotten about that guy, I'm glad you reminded me!" 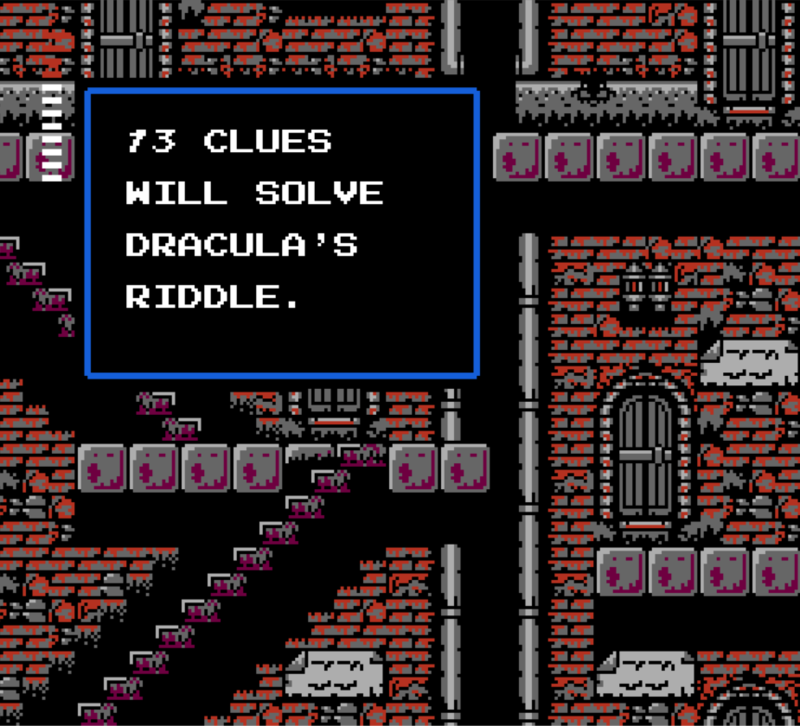 There actually are thirteen clues hidden throughout the game. They are equally as helpful as anything any of these people have to say. 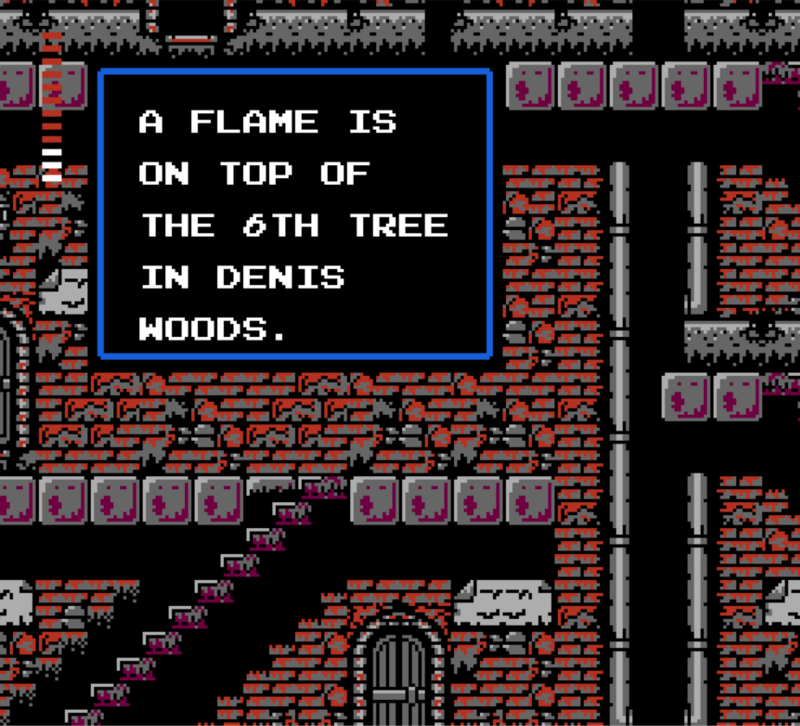 There are two flame-related secrets in Simon's Quest, and neither of them is found in a forest. 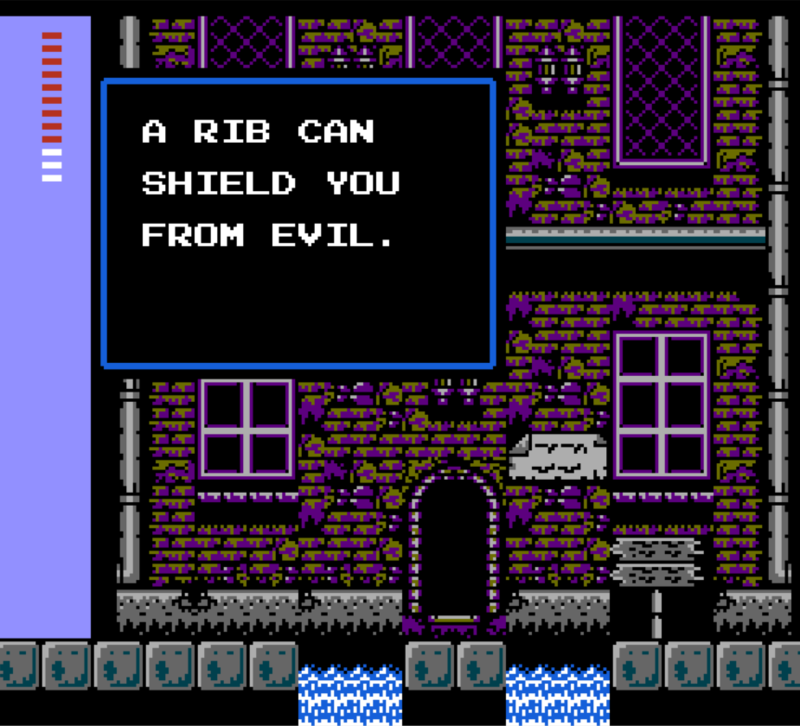 This is actually more helpful than it first appears—Dracula's Rib is a required item and acts as a shield for enemy projectiles—but by the time the player gets here, they're unlikely to have it. Laurels provide temporary invulnerability, but there's no soup to be found. Despite being a contentious entry in the Castlevania series, it has had the strongest impact on the franchise’s future out of any game I’ll be discussing in this series of posts. Starting on the PlayStation with 1997’s Symphony of the Night, the Castlevania series has moved in a more open-ended direction—so much so that it became one half of the term “Metroidvania,” used to describe exploration-based platformers. Most Castlevania games of the sort have very few interactive NPCs outside of cutscenes—and lack a day/night cycle, dropping two of the most contentious aspects of the game—but still build from the exploration, discovery, and character progression present in Simon’s Quest. These games have remained some of the most beloved entries in the Castlevania franchise, and they all stemmed from a horrible night to have a curse.